Darryl and Anne and their lovely close-nit families celebrated their love on Anne’s family farm in Natures Valley past weekend. Darryl works on the Wilson family farm and together with Anne’s dad and now his new dad-in-law, he built their wedding shed with his own hands… good job Darryl! You worked hard for Anne! And everything came together so beautifully in the end! 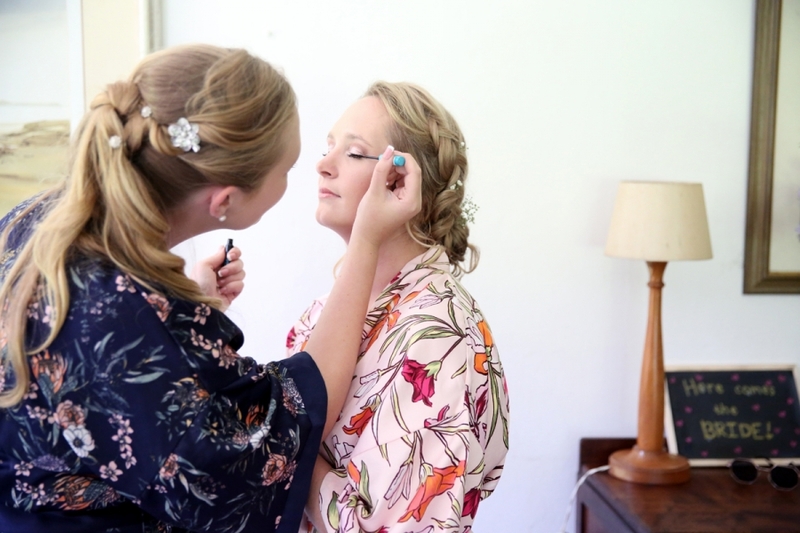 I loved all the personal touches to this wedding… Anne getting ready in the old farm house where she grew up, of course I loved working with all the old ‘farmy’ elements and textures. Anne’s sisters and mom being so involved in the wedding, doing the flowers, make-up and stunning wedding cake, with their doggies, Chase and their new baby Border Collie as toppings. And most of all the inquisitive cows next to the shed, with the beautiful scenery as a backdrop. Thank you D&A for having me at your wedding! May you have a wonderful life together and grow old on this gorgeous farm!